E-commerce major Flipkart is believed to be working on an international listing, with Nasdaq in the US emerging as the preferred destination. Experts say before an initial public offering (IPO), expected in 12 to 18 months, the Bengaluru-based company must strengthen its financials and organisational structure. "The choice of stock exchange will be a challenge, as listing in India is fairly impossible because of issues such as profits and the traditional definition of promoter, etc," said Harish H V, partner at Grant Thornton. He added Nasdaq seemed the best choice, considering it was known for listing technology companies and the fact that it was much easier to list there. Flipkart might consider Singapore, too, as listing norms in that country aren't as strict as in many others, it is learnt. Consultants said if an IPO was launched in the next six to eight quarters, Indian stock exchanges wouldn't be considered, considering the requirements related to a company's profits. For public issues of companies without a three-year 'profitability' record, the Securities and Exchange Board of India had, in 2012, reduced the retail investor quota from 35 per cent to 10 per cent of the issue size. The move, aimed at protecting retail investors (those investing up to Rs 2 lakh) from IPOs of loss-making companies, limited the participation of small investors in successful IPOs such as those of Just Dial and Snowman Logistics. 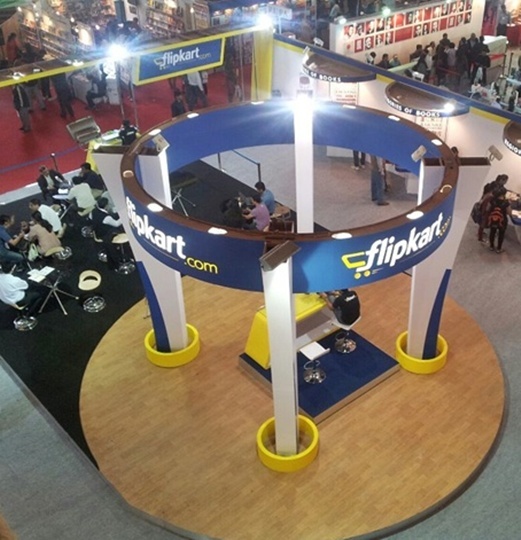 Analysts say even so, Flipkart should build a leadership team with global resonance. According to online resource website Investopedia, Nasdaq is similar to an "exclusive club", one for which companies with "solid history" and "top-notch management" alone are considered. As such, it might not be a coincidence that Flipkart has been attracting talent for its leadership team through the past few months. Recently, the company announced the appointment of former Google executive Punit Soni as chief product officer. It has also appointed former McKinsey director Saikiran Krishnamurthy as chief operating officer (COO) of its commerce platform. No too long ago, the company had brought on board former Tata Communications finance chief Sanjay Baweja as chief financial officer. While recent media reports have claimed Flipkart is cutting costs to prepare for an IPO, the company has denied this. "There is no cost-cutting happening at Flipkart, nor is there any discussion on an IPO," a company spokesperson told Business Standard. "Cost optimisation is an ongoing exercise for any company and we are no different. In fact, the company is focused on growth and continues to hire for technology and supply-chain in a big way." Through the past few years, Flipkart, valued at about $12 billion, has often been in the news for raising funds. In 2014, it raised about $2 billion. Since its launch in 2007, the company has raised about $3 billion from a clutch of marquee investors. The company is yet to record profits. "So far, firms such as Flipkart have largely been reliant on capital from private entities. But given the explosive growth these companies have enjoyed, the next obvious step is public listing," said to Sanchit Vir Gogia, chief analyst and chief executive of Greyhound Research. He added the recent successful listing of Chinese e-commerce major Alibaba had made large Indian e-commerce players exploring similar routes confident. To prepare for an IPO, such companies should aim for a certain readiness, he added. Picking a home? Take a virtual tour first!